After a busy Easter weekend of cake orders I had not managed to make any hot cross buns, despite having saved Dan Lepard’s recipe from the Guardian magazine and having had every intention of doing so. I finally saw an opportunity this afternoon when the horrible weather prompted my two children to get their aprons out and ask to do some baking. 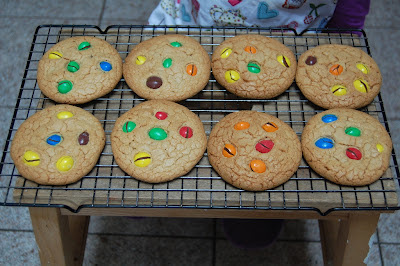 Unfortunately we were missing a few vital ingredients and settled on peanut M&M cookies instead. I had seen the recipe in a copy of the Australian Woman’s Weekly ‘Kids Party Food’ book that has somehow ended up on my bookshelf. I can’t think where it came from, but it’s possibly something to do with my mother. 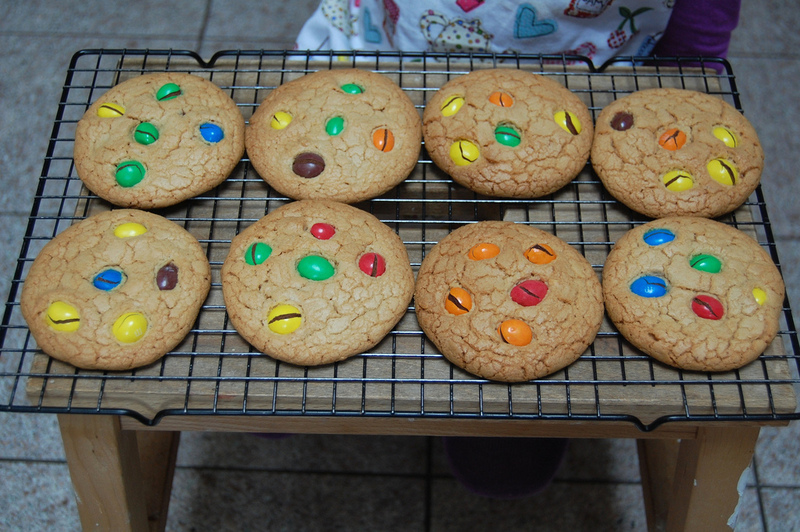 Anyway, it came in very handy today and we made some delicious cookies in no time at all. 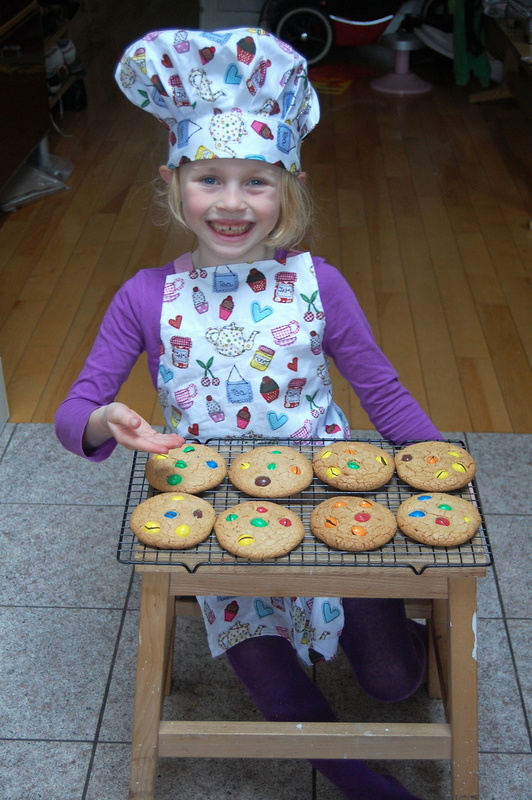 Both of my children participated fully in the baking, but ony one was prepared to pose for photographs. The other threw down his hat and apron and declared it time for kitchen cricket instead. An accident waiting to happen in my opinion. Watch this space. They look good! I too have an Australian Woman's Weekly cookery book, a bread and scones version, which I also suspect made it's way to my shelf via my Mum. I have to say though, there are some great recipes in there!